Toyota Friend: Would You Accept a Car’s Friend Request? 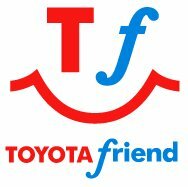 Toyota and Salesforce have joined forces to create Toyota Friend, a private social network for Toyota owners. Its name makes it sound like a lame role-playing game where owners give their cars cutesy names and elaborate personalities and spam each other’s walls with requests for virtual spark plugs, but it’s nothing like that. With Toyota Friend, you can use your smart phone or tablet to exchange real-time updates with other drivers, connect with dealers and receive diagnostic information about your car—the car will send out tweet-like alerts when your car needs to be serviced, for example. You can share the info with other Toyota Friends, or choose to keep it private so others can’t make fun of you for naming your car Pamplemousse or for forgetting to recharge your battery—again. If you think your non-auto friends care about your car just as much as you, you can even share your Toyota’s well-being on Facebook, Twitter and other services. Don’t get all riled up for a test drive, though. Toyota Friend won’t be available until 2012, and even then it will only be available in Japan for Toyota’s electric and hybrid vehicles. Toyota Friend’s niche network seems like it’ll lead to smarter car ownership because it promotes interaction with dealerships and provides essential maintenance tips and service information, so hopefully it’ll stop people from neglecting their car until something goes horribly wrong. Plus, it’ll help Toyota gain heaps of information about driver habits and how their cars are working. As for nonsensical, I disagree. Toyota Friend does fall into a loose definition of “social netowork”—it’s more of an automated way to let owners know something is amiss. But they’re doing right by giving information in a format customers have grown accustomed to. People have come to rely on real-time mobile updates, not snail-mail service reminders. It’s one more way to keep customers informed and on the move, even when they’re driving.